► Do voice, touch, swipe work? The way in which you operate a Mercedes has changed radically. Gone is that familiar rotary controller, used to click on lists at the edges of the infotainment screen. 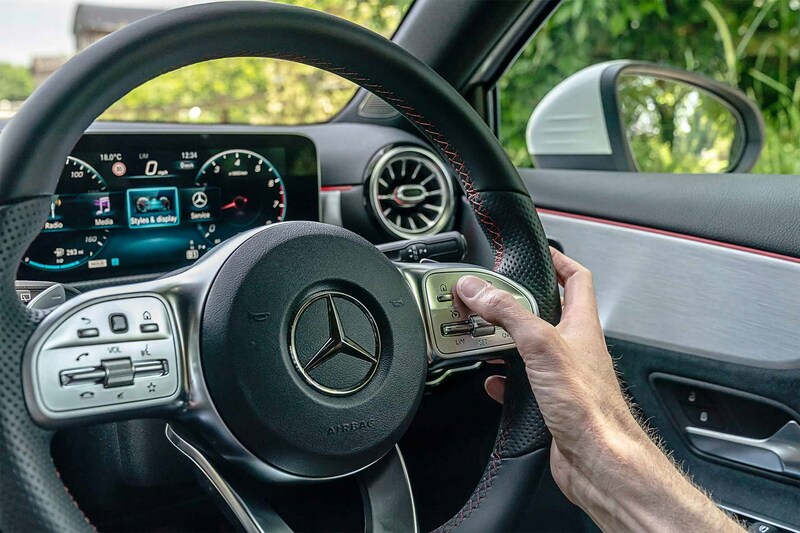 In its place, after four years of research with partner Samsung-Harman, comes MBUX – the Mercedes-Benz User Experience – which is operated in four different ways: touchscreen, steering wheel pads, touchpad (sited where the rotary controller used to be) and the big one: voice control. 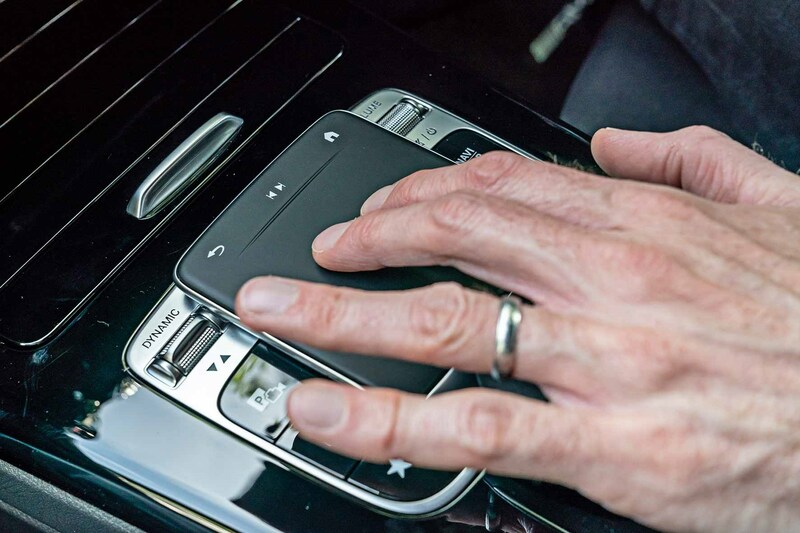 Say ‘Hi Mercedes’ and the touchscreen leaps into life, awaiting your command. ‘I’m a bit cold, make me warmer,’ I mutter. The A200 responds by offering to navigate to Walmer near Deal in Kent. More successful is a clear ‘I’m cold’, which results in the car announcing the temperature is 20˚C, and popping it up a degree. 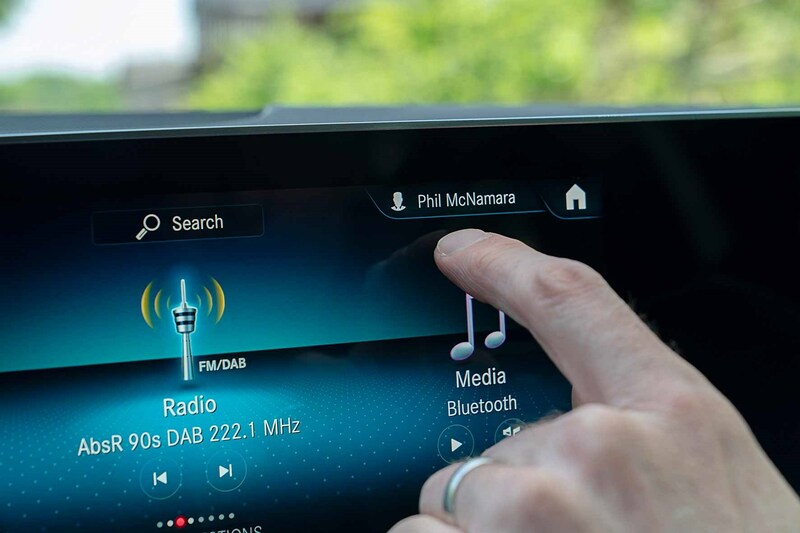 MBUX copes well with routine car-based commands: navigating to my home postcode, playing BBC Radio 1 and cancel (but not ‘stop’) navigation all go swimmingly. It absolutely nails weather forecasts for locations around the UK. But commands that are a bit more free-form can get an equally free-form response: ‘Play Spotify on my iPhone’ resulted in the car telephoning the Mercedes Me concierge service, while ‘What’s your favourite BMW car?’ first triggered BBC Essex on the radio, then offered me navigation to a BMW dealership. There’s much more to MBUX than voice: it looks the business with superb graphics and animations. Two seven-inch screens (central infotainment and driver display) are standard; £2395 upgrades to a sweep of 10-inch conjoined screens across the dash. 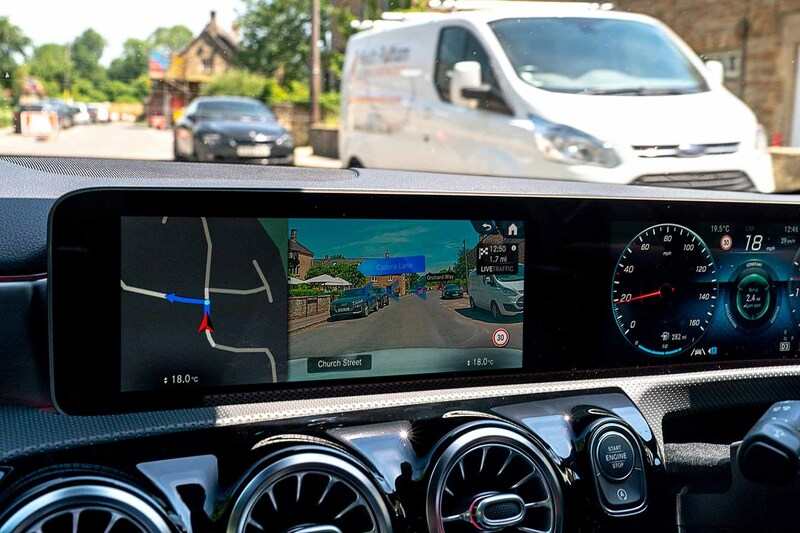 The A-Class also dabbles in fledgling augmented reality (above), superimposing animated navigation arrows onto a camera feed of the view ahead relayed to the infotainment screen. Clearly this will be far superior when directions are superimposed on your actual windscreen view, but that’s years away. This halfway house helps when you’re facing unfamiliar turnings, with the arrow leaping up and speeding along the correct pathway. But at £495 Advanced Navigation doesn’t feel like an essential option. MBUX voice control isn’t word perfect – yet. 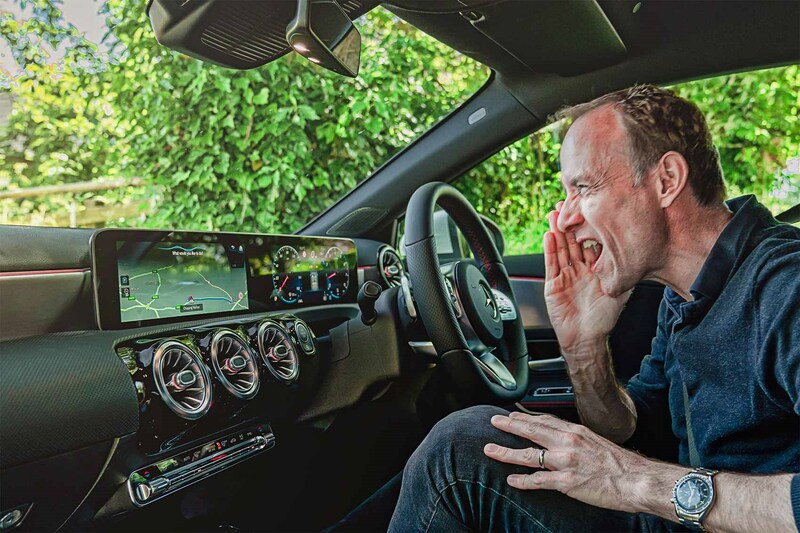 An Achilles’ heel will be mobile coverage: this was patchy during our Cotswolds test drive, so MBUX often appeared dumbstruck when it was searching for answers online. An icon showing this offline status would help drivers. And if you like to discuss your car with passengers, expect MBUX to chip in at every benign mention of Mercedes. Nonetheless, as you and the machine learn together, MBUX will only become more powerful and rewarding.